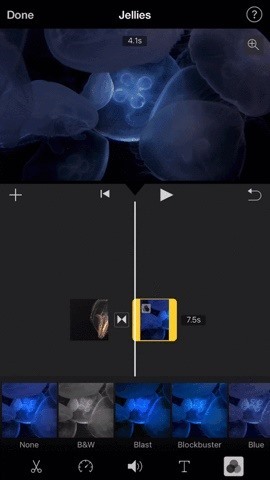 Just like in Instagram and other popular photo/video applications, iMovie for iPhone lets you add filters to your whole entire movie project. 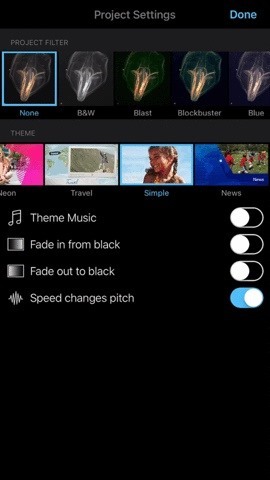 Not only that, but you can choose to add different filters to different video clips in your timeline, no matter if the clips started out as videos or photos. Make sure you're in a movie project before you begin, as this will not work for trailer projects. Once on the timeline, to add a filter to the entire project, simply tap on the cog icon to access the Project Settings page. At the top, under Project Filter, you can choose between B&W, Blast, Blockbuster, Blue, Camo, Dreamy, Duotone, Silent Era, Vintage, or Western filters. Tap "Done" when ready to apply it (you can also revert back if you don't like the way it looks). 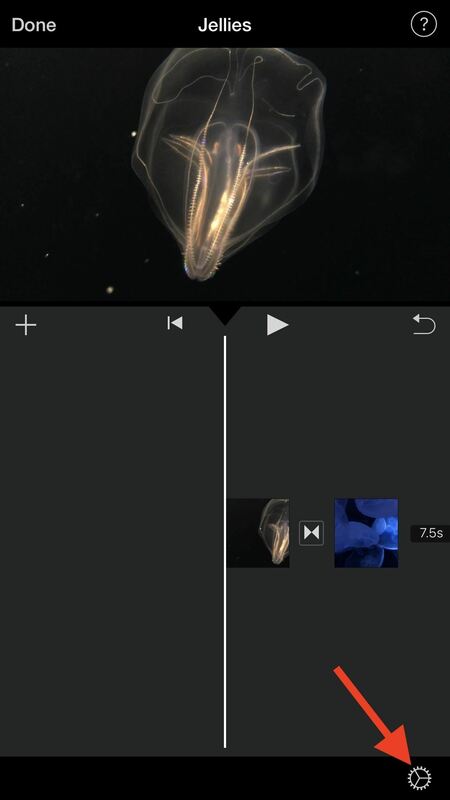 If you don't want to apply a filter to your whole entire movie project, you can instead apply filters to individual video clips in the timeline. 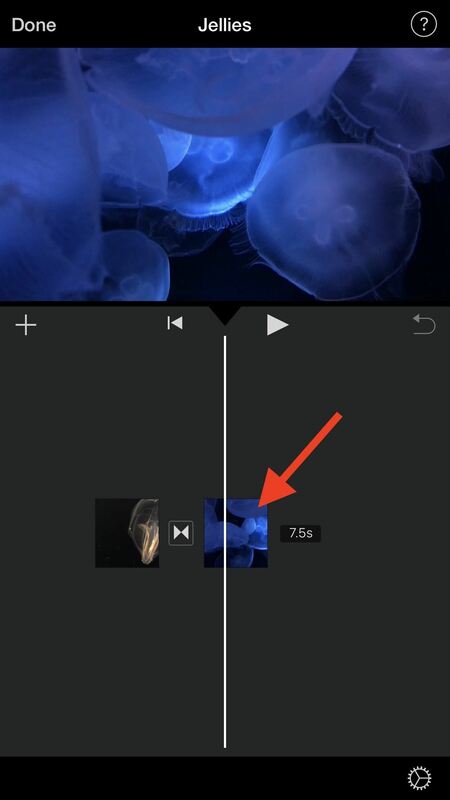 To do so, just tap on the clip you want to add a filter to, then select the filters icon (it looks like three overlapping circles) from the menu. The same filters mentioned above will be available for you to choose from, and you can always change the filters up or go back to no filter later if you want. 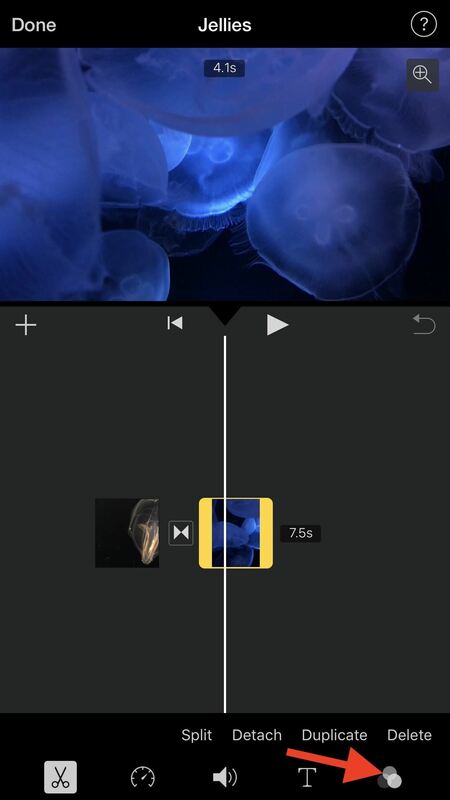 Filters are only just a small portion of what's available to play around with in iMovie for iPhone, so stay tuned for more how-to guides on learning all the ins and outs of making a tiny film on your iOS device.